A renewed call for a tax on sugar, claims of a link between between animal protein and bad health and fresh guidance from the WHO on sugar intake - what we eat has again grabbed mainstream media attention in the last 24 hours. The UK's chief medical officer has said the country's government should introduce a tax on sugar as a way of helping to tackle obesity. A study of over 6,000 people in the US has claimed to show a link between high consumption of meat, eggs, milk and cheese with cancer or diabetes. And, in Switzerland, the World Health Organization has suggested people should halve their daily intake of sugar. The hat-trick of headlines continues what has been a flurry of news stories in mainstream media outlets since the turn of the year that have focused on what we eat and the impact on our health. Sugar has been in the spotlight in recent weeks. 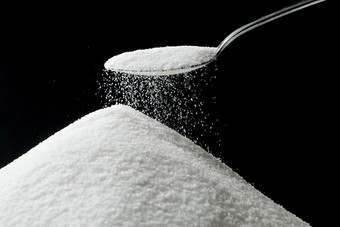 In January, academics in the UK, US and Canada launched Action on Sugar to try to pressure the industry to reduce the level of sugar in food. UK TV channels have broadcast documentaries entitled 'Are You Addicted To Sugar?' and 'Sugar vs Fat' to look at the impact consumption can have on health. January also saw a number of front pages in the UK carry headlines on the country's "obesity crisis" after a report from The National Obesity Forum has claimed previous forecasts that half the UK's population could be obese by 2050 may have underestimated the problem. The flurry of headlines will raise consumer interest in what is in their food and in their diets more generally. There are, no doubt, some in the food industry that would welcome that. However, others will be concerned that their sectors could be painted as the betes noires of the piece. Above all, it raises the prospect of a PR battle for the food industry in the face of heightened scrutiny on what is in our food and the impact it can have on health. Consumer interest can easily lead to consumer confusion - and that could lead to the wrong choices being made. A balanced debate is vital, with a balanced diet at the heart of it.